While the Nikon D610 is an excellent camera that's capable of recording plenty of detail in images with rich tones, good exposure and pleasant colours it is considerably more expensive the Canon 6D. New: The Nikon D610 was announced back in 2013 and it's starting to show its age against newer competition. We reckon it's ripe for a replacement, but its age does mean you're likely to find it at a good price. If you want a Nikon full-frame DSLR though, we'd try and stretch the budget to a D750. Otherwise, take a look at our pick of the best full-frame DSLRs out there. 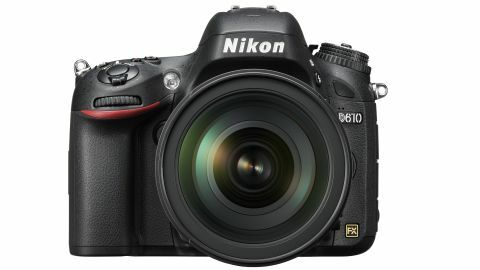 By and large the Nikon D600 was warmly welcomed when it was announced in September 2012. It was designed to be the natural progression for DX format users wanting to dip their toes into FX (full-frame) photography and, as well as having a control layout that sits comfortably within Nikon's enthusiast SLR range, it was the company's most affordable FX camera. All was well until reports started to come in that the camera's sensor was prone to getting dirty. The dirt was suspected to be lubricant and the finger was pointed at the shutter mechanism as the likely source. Nikon officially acknowledged that there was an issue in February this year, but referred to the dirt as 'dust' and advised users to return their camera to a service centre for cleaning if they were unable to do the job themselves. Tests indicated that the problem resolved itself after the camera had been used for around 3000 shots, presumably after all the loose material had been shed and the sensor cleaned. The only other significant change made with the D610 is that the automatic white balance system has been improved to give better results in artificial light, especially with skin tones. In other respects the D610 is the same as the D600 - but don't worry, we don't expect you to remember all the details. As mentioned earlier, this allows a continuous shooting speed of 6fps. However, when Continuous Quiet mode is employed the maximum rate drops to 3fps and the sounded is dampened. In addition, sensitivity may be set in the native range of ISO 100-6400 with expansion settings taking this to ISO 50-25600. As before, there's a 2,016 RGB sensor, which gathers information to inform the Automatic Scene Recognition system that is used by the Metering and White balance systems to help get correct exposure and colour. Nikon has employed the same Multi-CAM 4800 autofocus module with 39-points (9 cross-type) as is in the D600. The centre 33 AF points operate at effective maximum apertures slower than f/5.6 and faster than f/8, while the centre 7 are capable of operating at f/8. This is useful when using telephoto and teleconverter combinations that produce an effective maximum aperture of f/8. In most situations images are likely to be composed in the optical viewfinder, which covers approximately 100% of the imaging frame with 0.7x magnification. There are markings to indicate the DX format when DX format lenses are mounted. Landscape, still life and macro photographers may also like to compose images on the D610's 3.2-inch, 921,000-dot LCD screen in live view mode. When doing so, the camera uses a contrast detection autofocus system and it's possible to select Single-servo AF for stationary subjects or Full-time servo AF for moving subjects. There are also four live view AF-area modes: Face-priority AF, Wide-area AF, Normal-area AF and Subject-Tracking AF. Face-priority and Normal-area AF (in which the photographer can set the AF point anywhere in the frame) are likely to be the most commonly used options. However, many will find that manual focus is the best choice as its possible to zoom into the scene to set the focus very precisely. Using live view mode reveals another difference introduced with the D610: the digital level can display a rectangle that indicates whether the camera is tipped forwards or backwards. As usual there's an in-camera HDR (high dynamic range) mode in which the camera can take two images with different exposures and combines them into one. Alternatively it can take one image and process it to bring out more detail in the shadows and highlights. Disappointingly, this hasn't been upgraded and it's still a JPEG-only option. Another aspect of the D610's feature set that may disappoint avid rumour-followers is that it doesn't have Wi-Fi connectivity built-in. Instead Nikon offers users the optional WU-1b Mobile Adaptor, which enables remote control over the camera and images to be downloaded to a smartphone or tablet. As well as enabling Full HD videos to be recorded at 25 or 24p and at 1280x720 at 60, 50, 30 or 25p, there's an intervalometer built-in to simplify shooting time-lapse sequences and movies. There are also ports to connect a pair of headphones and an external mic for better sound monitoring and recording when shooting movies.